A good stylist is important to all public figures IMO. You know? I sometimes wonder if Harry & Co thought that because Sparkles was in showbiz that she'd have some kind of "it" magic by osmosis and she'd know her way around a walk-in closet and dazzle the world. She doesn't and isn't. You've either got that elusive factor or you don't. I think she did some heavy selling of her supposed impact and they bought it. One, to make Harry happy because they do love him and, two, because Harry's an idiot. Int'l Fashion Star she ain't and that does indeed come from the inside, not a PR machine in overdrive which turns people off anyway. 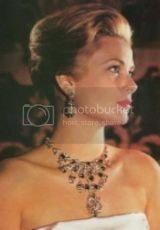 Grace Kelly an A list actress had to get a stylist her "movie star" look did not mesh with being a royal. Different hairdo, different styles needed. Meghan needs a stylist if she does not already have one, or a better one. As much of an anglophile as she claims to be, you would think she would know better. ^ She seems to know nothing, if she were an anglophile she'd have answered at least some questions correctly in that short quiz she did a while ago. I think the extent of her anglophilia is "omg the queen! royalty! jewels! palaces! Diana!!" and that's it. ^That's my thought as well. ^^ So true. She knew about Harry being single. Anglophile? I am an Anglophile. I can recite the Monarchs in order from William the Conqueror to present. I doubt she knows who William the Conqueror is even now. I had a thought. She does expose her shoulders in many outfits either bare or under see through material. Does Harry have a shoulder fetus I wonder? ^She was probably told somewhere along the road that they are alluring and now she can't let the notion go. Her go-to is going to be Claire Keller of Givenchy because she designed her wedding gown like Kate is with McQueen, you can't write this stuff. Our Megs has no breasts, waist or legs --- shoulders are all she has to show!!!!! ^ True, and I do think she has nice shoulders but there's a time and place. Argh, the hair (wig) what a mess. 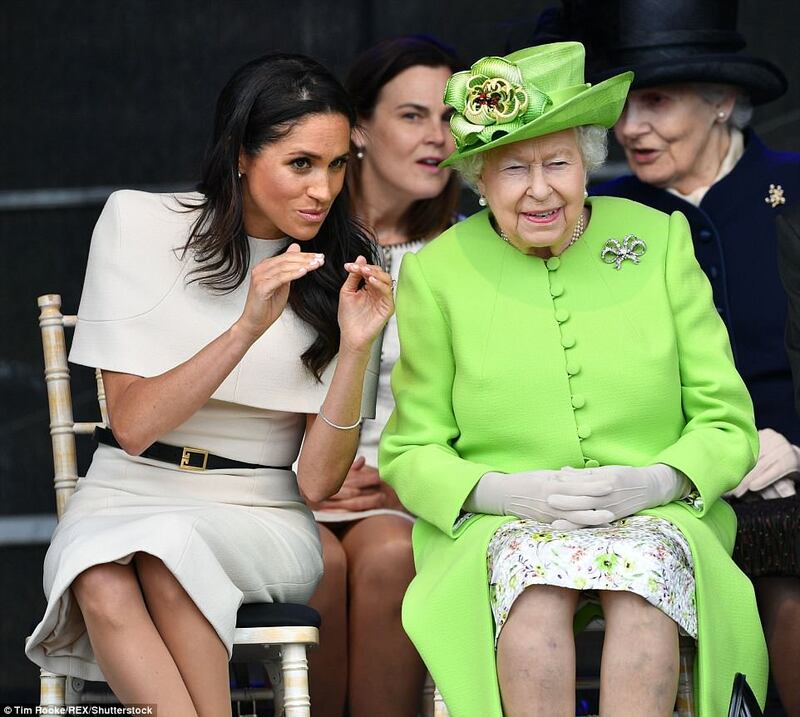 ^ Yes, her hair stood out for blowing all over the place, Meghan fussing with it throughout the engagement and the messed up part while she was sitting with the queen. Just put it up for pete's sake!! Pretty rubbish that she’s gone with a French fashion house. Does the DM come to Royal Gossip? I totally brought this up!